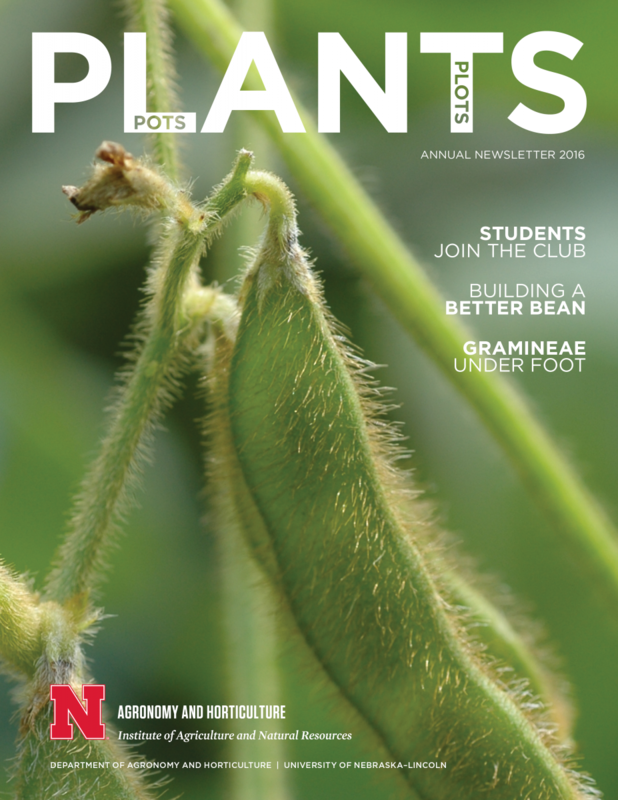 Published once a year, the Department of Agronomy and Horticulture annual newsletter contains a review of accomplishments, student club news, faculty appointments and retirements, research, staff bios, student stories, alumni spotlights and more from the past year. Check out the latest issues below. 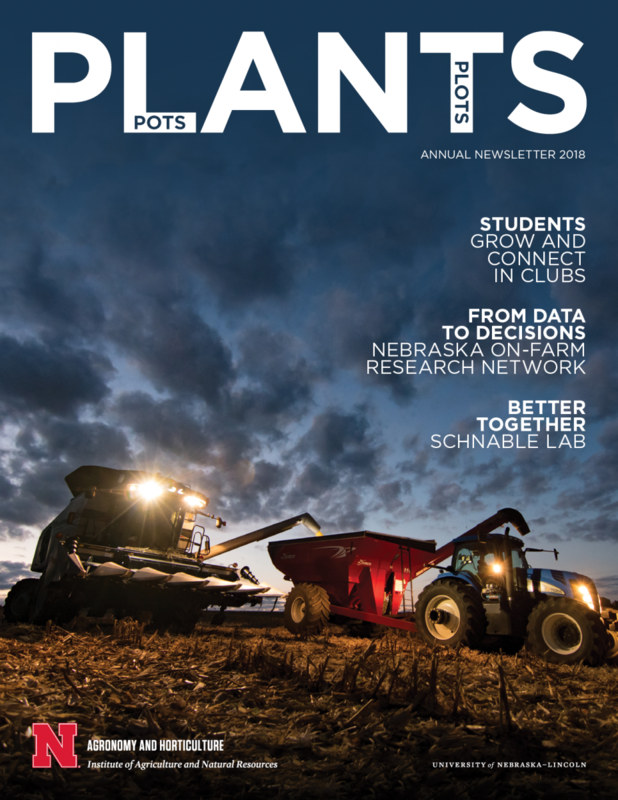 Student clubs, teaching impacts, Nebraska On-farm Research Network, EPA reps tour Nebraska, corn and sorghum genomes, improving wheat and rice yields under stress and more. Student clubs, Project SENSE, experiential learning at Nebraska, mentoring Rwandan scholars, biomulches, integrated production systems and more. 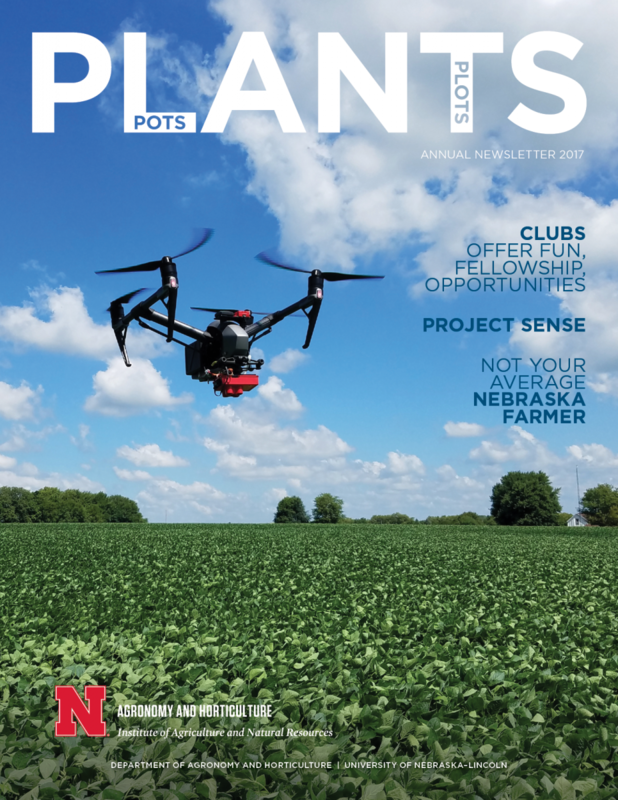 Student clubs, Foltz leaves a legacy, the future of biofuels, building a better soybean, precision turfgrass management and more.